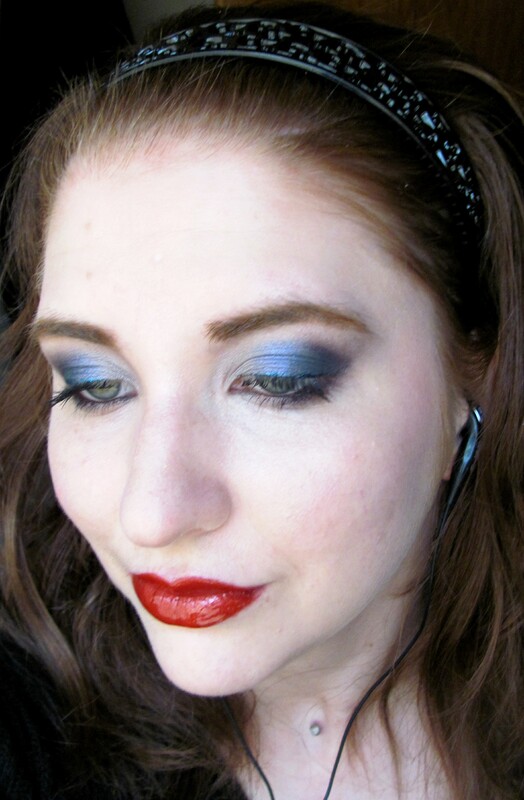 This may be the most luscious red lip I’ve done in a while. I LOVE it. 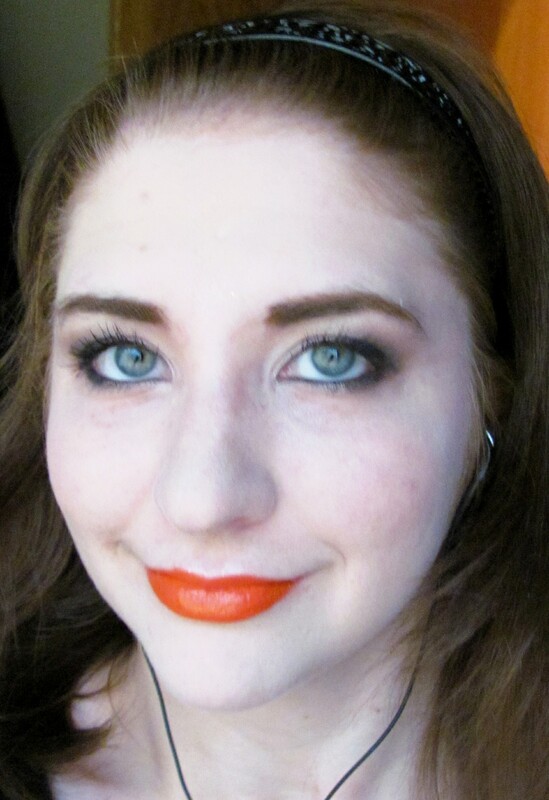 Plus, I think that the contrasts of the various sub-sects of gothic/rockabilly/punk makeups have always looked good on my coloration. Does make me wish I was a brunette though. I’ve eyeballed the Kat Von D lipsticks rather frequently—though the shade range is limited to stronger reds, there’s some very luscious ones! Cathedral is a warmer red with a peach note. It reminds me of a very warm clay color, rather than a true red. This is a little sloppy. It’s been a rough few days. Holidays are usually a bit crazy, and yesterday we went straight from work, to a belated thanksgiving with the boyfriends family. I DID throw on a little makeup, but it never got photographed, and it was only what could be done with one eyeshadow duo, a piece of eyeliner pencil, and a lip gloss. It took me a while to even get up the energy to put anything on today. I’m not feeling well, and and I spent long enough playing the piano for the (practically speaking) mom in law and her sister, that my hands are STILL stiff and twitchy. Plus, I have a few new books, and that means that even the boyfriend can hardly get me to acknowledge him. When I really focus on something, it’s about the same as being in a coma. He once flicked about ten rubber bands off me while trying to get my attention before I noticed. Charming fellow. At any rate, today’s distraction of the day is Robin Hobbs Farseer trilogy, if anybody cares. I’m 20 pages away from finishing book 2. Focus On is a work in progress. Have you ever talked yourself out of buying a product because the color was too odd, and you wondered how often you would really be able to use it? Or, you know those colors you LOVE because of some hidden versatility that you never imagined when you bought it? I do that ALL of the time. In the interests of loving what I HAVE, and learning its limitations, rather than relying on the influx of new colors, I will be doing this post every Saturday, focusing on a new color from my collection, with examples of past work, ideas for other uses. Please feel free to suggest colors you wish to see, or uses for the ones listed, or let me know what your favorites are for future posts. Frigid is a striking, deep blue-violet. It has a faintly metallic shine. 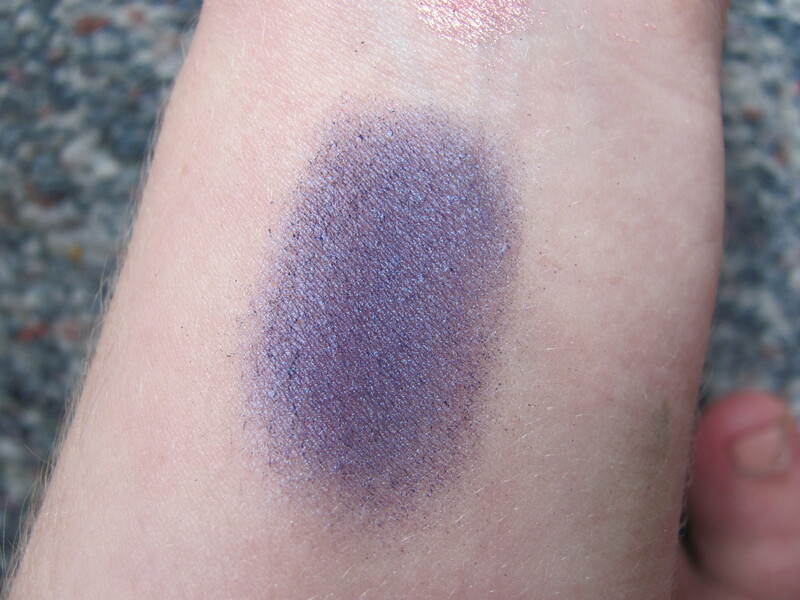 Ransom is a rich, slightly-less blue violet. 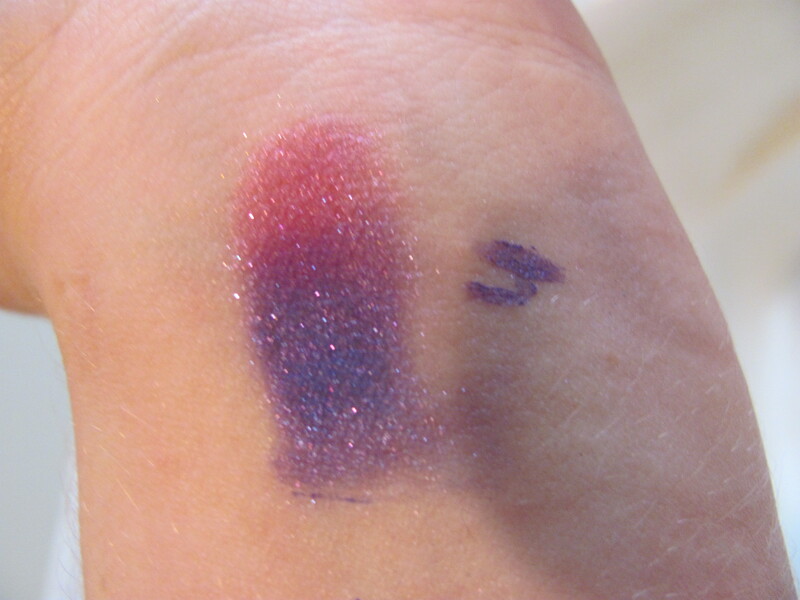 I’ve grouped these two together because they are both Urban Decay Deluxe formula, and the colors have very similar uses. While they do look different, the uses are ultimately almost interchangeable. 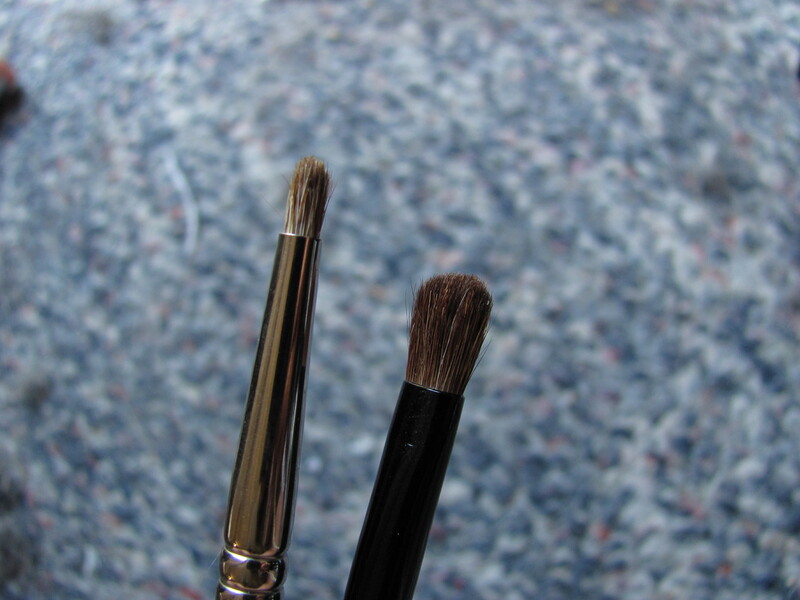 And with the uniform formula, the same blending and application techniques are applicable. Ransom is just slightly more of a true purple than Frigid. 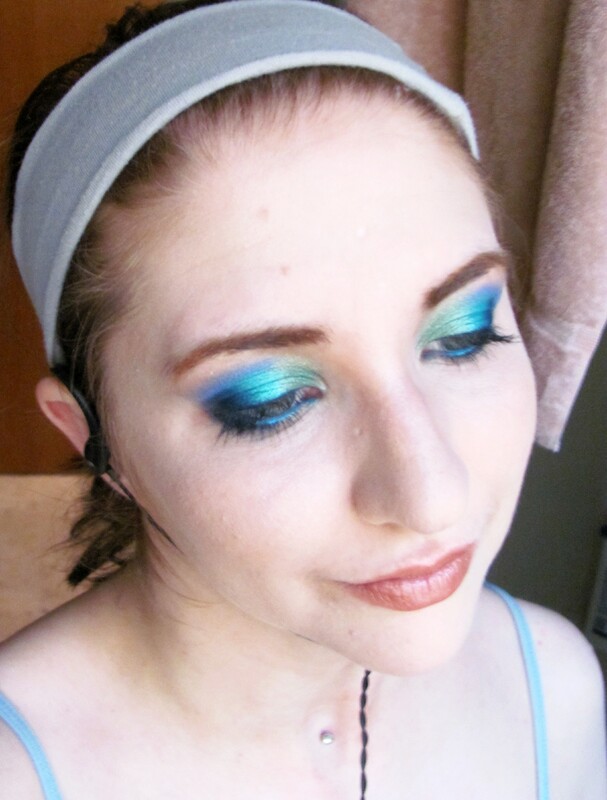 Because I was NOT inspired, and my blending has been off all day. LOVE the lips though. 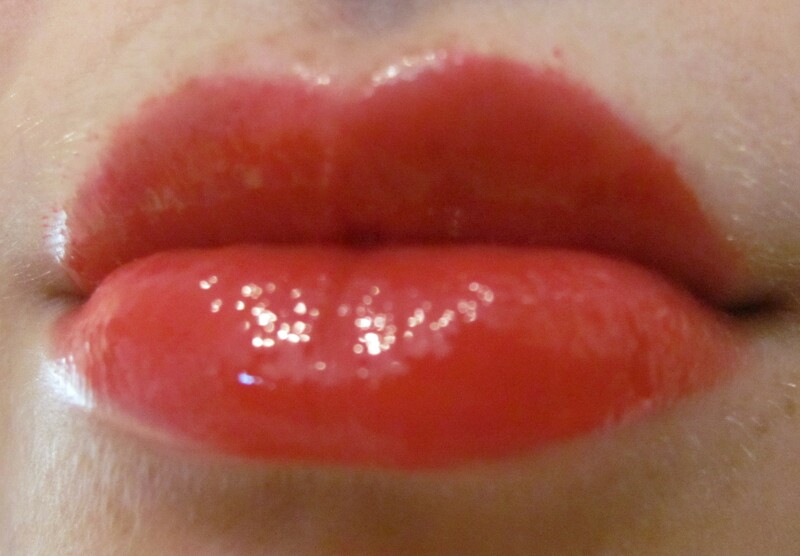 Illamasqua Intense Lipgloss is a very pigmented formula, though I never found it totally opaque. I’ll be reviewing three shades-Follow, Mistress, and Petulent. Follow is a bright, warm red. It has a rich, glossy finish, but no actual shimmer. This is bright, over the top, and suited my mood. 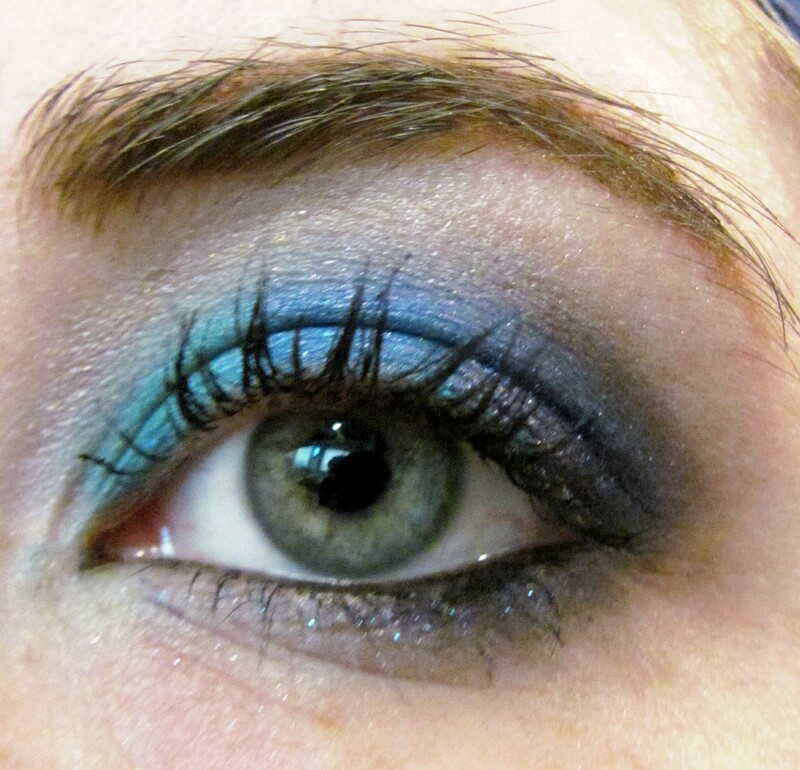 I photographed a tutorial, though it’s not one of my favorites. I’ve had Faure’s Pavane stuck in my head all night. I love that composer. And I guess it fits, seeing as how the Pavane is a now extinct adagio dance with LOTS of pointed toes, and one of the roots its thought to be named from is spanish for Peacock. We will not ask WHY I know all that.